What’s unusual about this sheet of 100 ruble RSFSR stamps? Because of printers mistake a single 70 ruble stamp made it into a 100 die plate. 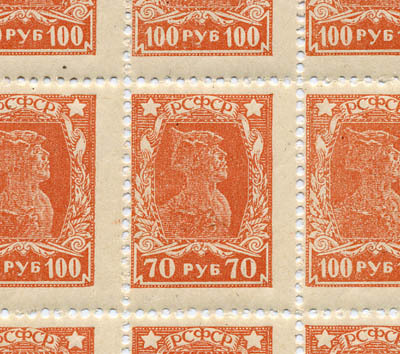 A regular 70 ruble stamp is purple. 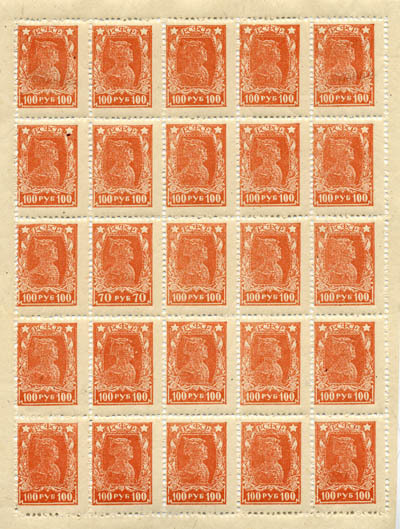 I’ve purchased this sheet for $20 on ebay.